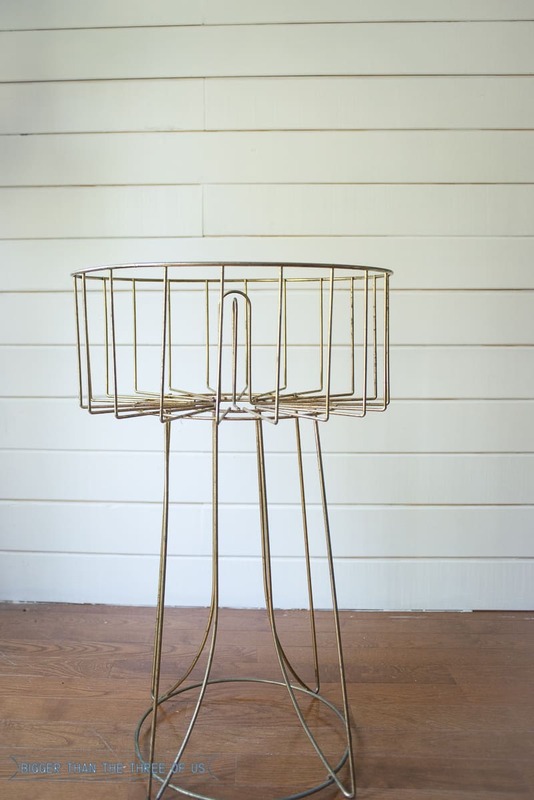 Two years ago, I scored this amazing mid-century modern wire basket thing. I think it’s mid-century modern anyways! I knew it was destined to be a planter but I just couldn’t figure out how I wanted to turn it into one. So, I moved it into our living room and it held extra pillows and throw blankets. 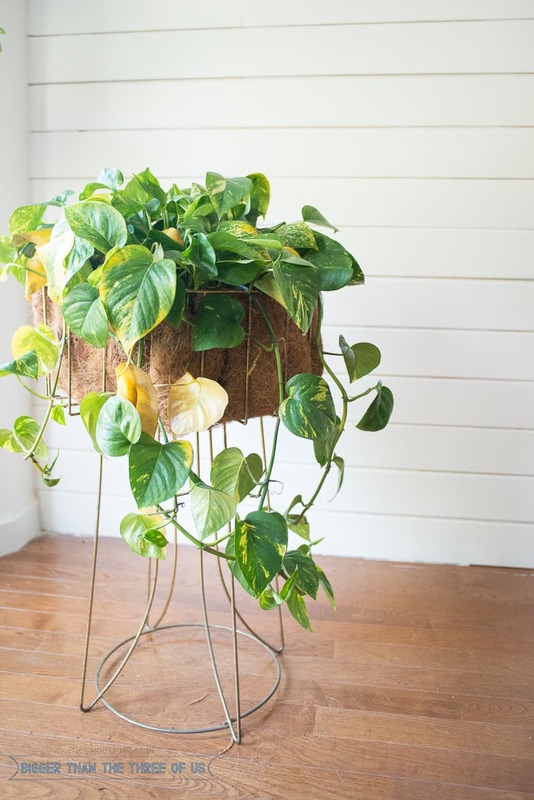 It was cute and functional, but seriously… it was destined to be a planter. 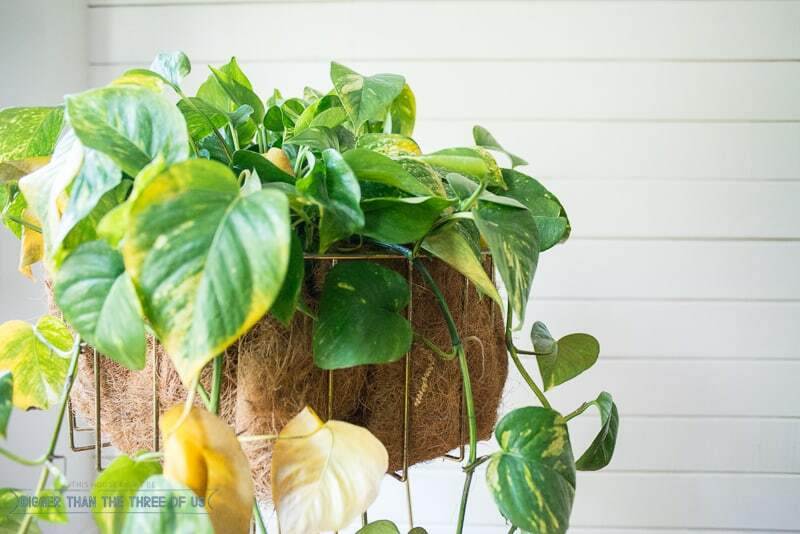 A few weeks ago, I had the lightbulb moment and that’s how I got my Five Minute Repurposed Planter. Also, don’t you just love when you have the lightbulb moment when a thousand other things are going on? We had carried out our banquette to prep for our new floors (these floors are the old ones) so we had crap displaced everywhere and I just had to put this planter together. Yep, that’s the story of my life. I can’t remember how much I paid for it but I believe it was around $20. I loved it at first sight. 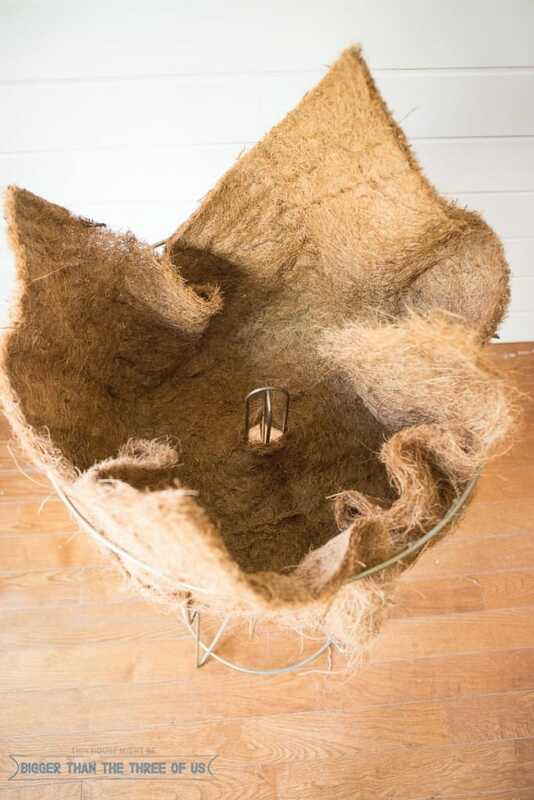 At first, I was trying to figure out if I wanted to make a concrete or plaster bowl to set inside the wire form. I think that would be super cute, but I just never got around to doing it. Then, I had the idea to layer the wire foam with basket filler. You can buy basket filler by the yard at most plant nurseries. So, I laid the basket filler on top of the planter and cut a slit where the middle wire section needed to pull through. I pushed the filler down and punched it together in a few places. Then, I folded the edges in towards the middle. Because the basket filler isn’t pretty, I knew I needed a plant that would hang and take up visual space. 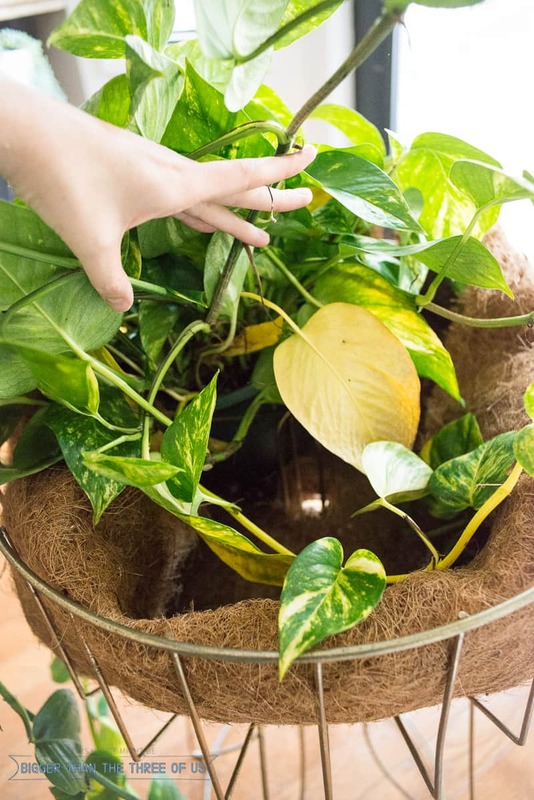 I plopped a pothos plant right in (still in it’s container). I let the leaves naturally drape over the edges. I think it turned out pretty cute. 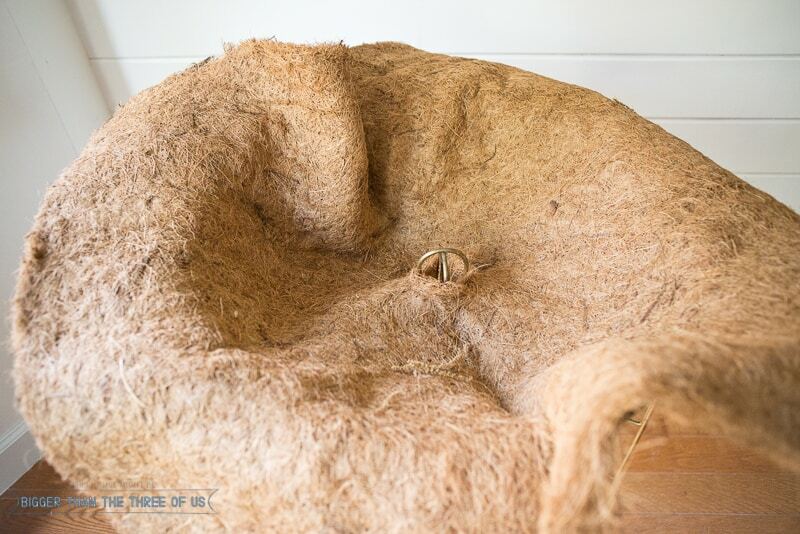 You can see it in action in our master bedroom. 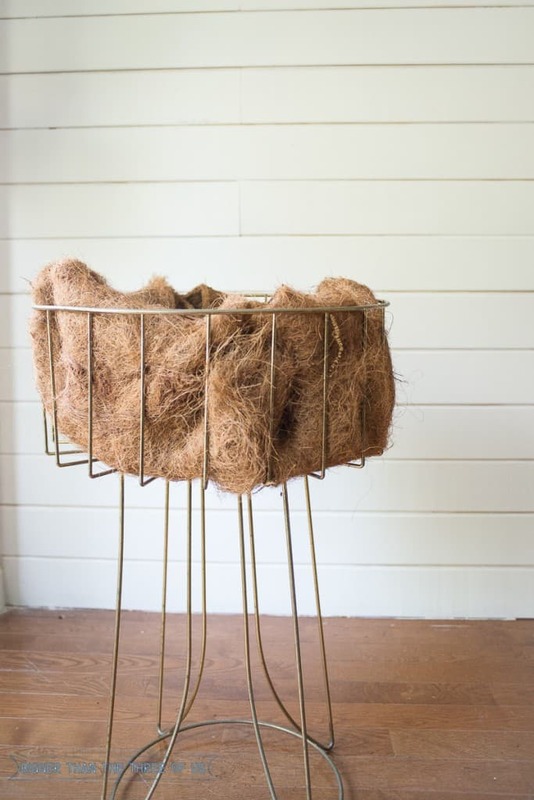 I doubt you have a wire basket just like this one, but you could totally use the same concept for an egg basket (you see those suckers at every single flea market). I really love how it turned out. Do you? Also, if you love planters and want a more intensive DIY option … a few years ago we made a Bullet Planter. Make sure to check that out.